Interested in our services? Contact the experts at Safe Top today by calling 678-400-9066 or by sending us a message. 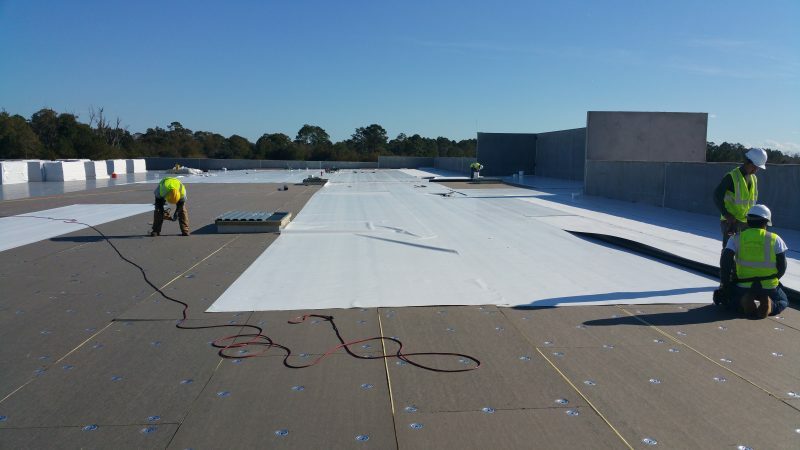 When it comes to commercial roofing, SafeTop is Georgia’s number once choice! We have worked on projects with a number of well-known companies including Arby’s and Hobby Lobby, and will provide the same meticulous detail and quality for your business. Below you’ll find detailed descriptions on the types of roofing choices for your company. All of which are expertly installed by a SafeTop Contractor. A commercial building isn’t complete without a roof. And aside from perfect installation, an aesthetically pleasing appearance really makes the building stand out. 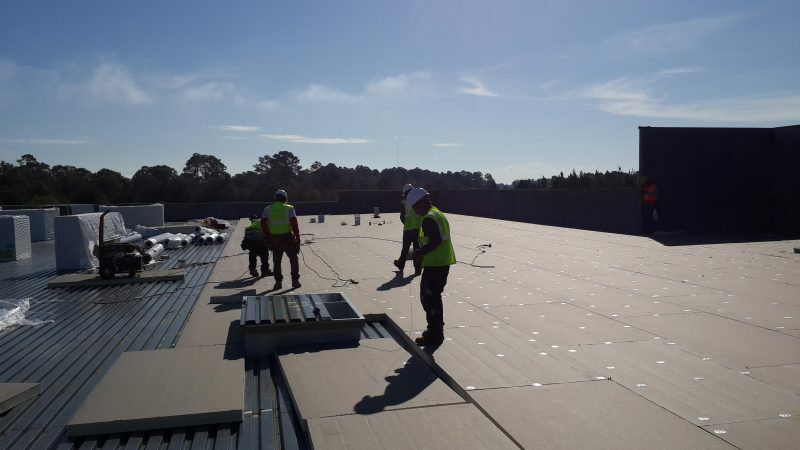 At SafeTop, our expertise and experience is unmatched when it comes to commercial roof installation. Installing roofs for such companies as Arby’s and Hobby Lobby, we’ve become their choice for preferred contractors for a reason. We encourage you to find out why! If your building is in need of a new roof, contact the proven professionals at SafeTop. TPO is the fastest growing sector in the industrial roofing industry. Energy efficiency is the primary fuel of this growth. 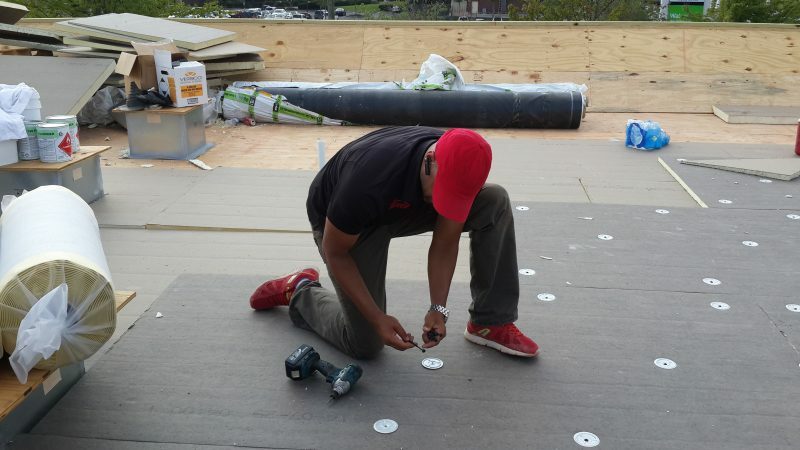 TPO roofs meet ENERGY STAR® guidelines. They come in three colors: gray, tan and white. TPO can be welded for repair but are very durable and reliable. One great feature is that TPO roofs are hail and puncture resistant. PVC has been tried and tested all over Europe and North America and has been working for decades. PVC is highly resistant to chemicals such as grease and acid. 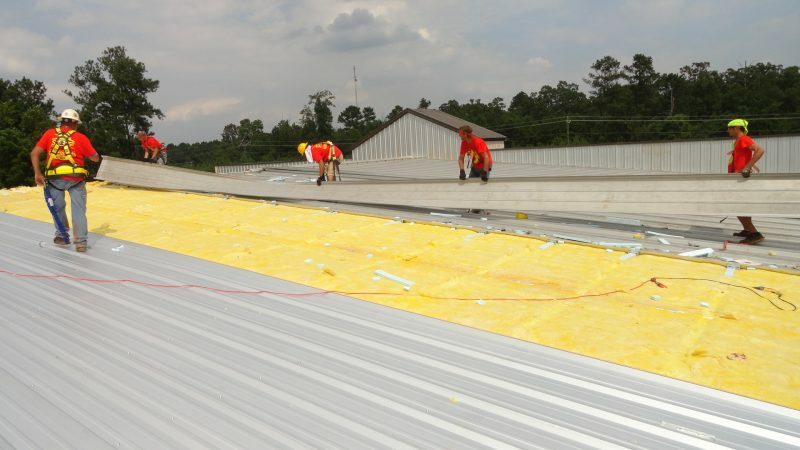 Commercial PVC roofs are mechanically fastened and have a membrane that can be welded for repair. PVC is very flexible making it suitable for a myriad of applications. EPDM can withstand any weather and requires very low maintenance. It is ideal for commercial roofing in Northern America. 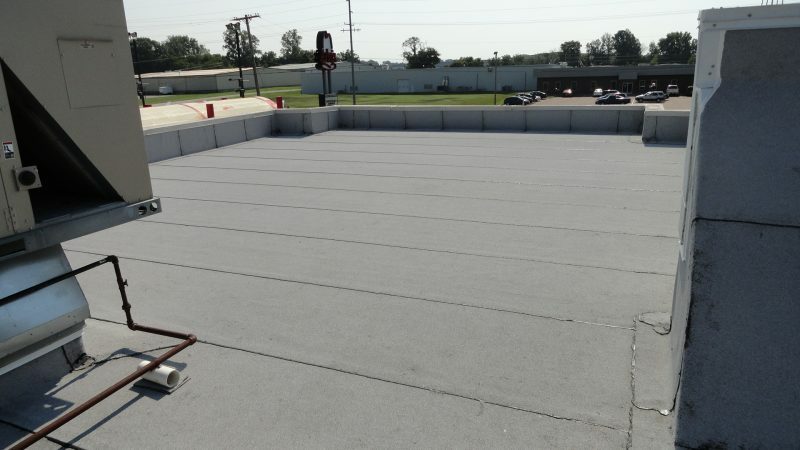 SafeTop roofing is a Verisco Systems Authorized Contractor #260235 and deal with all types of Verisco roofing including their EPDM VersiGard Line. EPDM membranes are traditionally black and attract the sun’s energy making them energy and cost efficient. Modified Bitumen roof membranes are made of several layers very similar to built-up roofs. Modified Bitumen is an example of polymer modified roofs which consist of reinforcing fabrics. They come in a variety of types all of which are made to be resistant to foot traffic. Modified Bitumen roofs can be surfaced using gravel, mineral or flood. No other type of roof has more usage than built-up roofing having been used in the United States for over a century. They are also known as ‘tar and gravel’ roofs. They are made of layers of bitumen and reinforcing fabrics that make a smoothly finished membrane. Metal roofs cost much initially but save more in the long run as a result of cheaper maintenance and longevity. The most popular choices of metal roofing are steel and aluminum. With metal roofs, you have incredible variety regarding design and color. Safe Top Roofing and Remodeling is the preferred Commercial Roofing Company based in Douglasville, GA for homes and businesses throughout the entire Atlanta metro area and also services the following cities in North Carolina, Fayetteville, Raeford and Hope Mills. If you would like to schedule a free inspection, please fill out the form below.